Who’s Next to “Star” in a Major Biopic -a mathematician, a scientist or a writer? Mark Zuckerberg and soon Steve Jobs will have their own movies, but who has yet to feature in a film with either a STEM or Humanities focus? Over the years, film directors have turned to the colorful lives of well-known individuals who have made an impact in some brand new way. These are the people who constantly challenge their contemporary beliefs and ideas by doing something so extraordinary they continue to influence our lives today. Up to this point we have re-discovered and delved more deeply into the lives of such illustrious people as famous writers of fiction, scientists, mathematicians, activists and presidents to name but a few among the diverse cast of characters. These have included film adaptations of the lives of Jane Austen (Anne Hathaway in Becoming Jane), James M. Barrie (Johnny Depp in Finding Neverland), Howard Hughes (Leonardo DiCaprio in The Aviator), Harvey Milk (Sean Penn in Milk) and even fictionalized versions of people such as William Randolph Hearst in Citizen Kane. The year 2013 saw Disney shedding some light on the filming of its classic Mary Poppins when Tom Hanks walked in the shoes of Walt Disney and Emma Thompson likewise as the author P.L. Travers in Saving Mr. Banks. Recently the films Selma and The Theory of Everything have been in the spotlight for portraying Martin Luther King, Jr. and Stephen Hawking, respectively, and have been nominated for Academy Awards. So now you may ask, who’s next? Whose life’s work will now be shown on the small or silver screen with all of the joys and pains that come with it? To start off the conversation, I have provided a list of some well-known people from the last two hundred years (some you may not have even hear about!) and why I think they deserve a film of their very own. 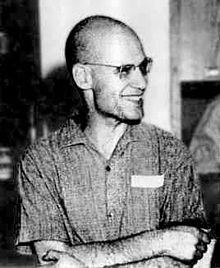 In the wake of such brilliant minds on film such as that of Alan Turning played by Benedict Cumberbatch in The Imitation Game, more mathematicians and scientists should be featured in the realm of cinema, like Alexander Grothendieck who died last November. For those who may not know him (personally or on the web), Grothendieck made advancements in the field of algebraic geometry among other mathematical theories during his professional career before becoming a recluse for decades from the time of his retirement to his death. It would be interesting to see his life in pre-World War II Germany and his illustrious career in France, all without being a French citizen until the 1980s! So many movies and TV shows, predominantly made by Disney, have been produced about the most famous teddy bear, but what of the author who created him? A.A. Milne touched our hearts when he started to write about his own son (the real Christopher Robin)’s special stuffed companions and turned them into full-fledged stories. 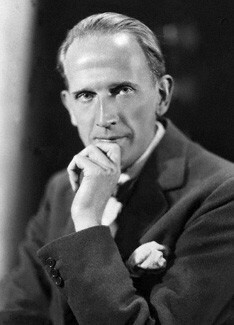 A.A. Milne’s life and his relationship with his son and Ernest Shepherd, who illustrated these beloved stories bringing the likes of Pooh, Tigger, Piglet and Eeyore to life would be something worth watching. (And the song for the ending credits… Return to Pooh Corner by Kenny Loggins). One of the great science fiction writers of our time! Who wouldn’t want to learn how a biochemistry professor took to writing such great stories! Asimov’s vision of the world as seen in his robot stories like the collection in I, Robot would be fascinating to uncover (How did he come up with the “Three Laws of Robotics” after all?). 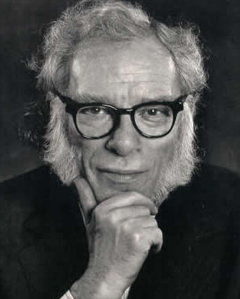 Especially with the continued resurgence of more movies in this genre, it would be wonderful to see Asimov’s thinking process in creating his stories as well as his earlier scientific research in Boston. Some scenes that should be in the movie could include how he came about “psychohistory” in his Foundation series or how he wrote mystery stories and limericks outside of science fiction and popular science (gasp!). 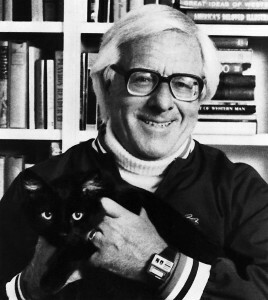 The prolific writer of such classics of fiction such as the dystopian masterpiece Fahrenheit 451, The Martian Chronicles, Dandelion Wine, Something Wicked This Way Comes and The Halloween Tree to name a few, Bradbury is definitely one person who has experienced much in his lifetime (Did you know that he wrote Fahrenheit 451 in the basement of Powell Library at UCLA?). The author, among other achievements, also worked for the Disney company to come up with the design, among other projects, for “Spaceship Earth” at Walt Disney World. 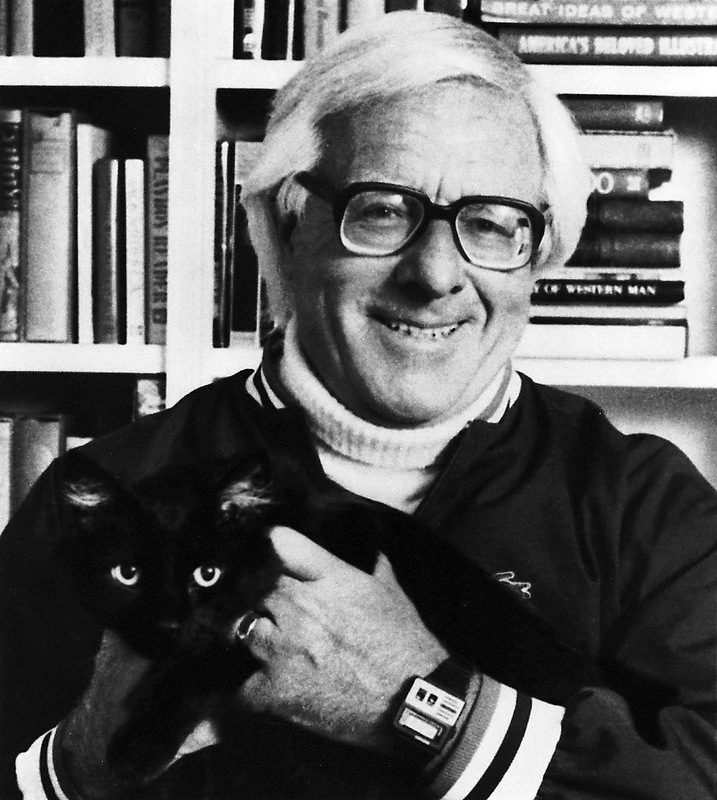 Similar to other author movie bios such as the life of Beatrix Potter (aka Renee Zellweger) in Miss Potter, a director could go crazy portraying the imaginative world of Ray Bradbury and his creative genius. The title, taken from the words of Mr. Electrico, a carnival entertainer he encountered as a boy who ultimately changed his life, would simply be, “Live Forever!”. A man who was a jazz guitarist before he worked with computers, Alan Kay is a cool dig. He has worked for the Apple company and as a Disney Imagineer and pioneered work on object-oriented programming, for which he is most known for. He has also contributed to the “One Laptop per Child” program so his work with mobile learning is appropriately relatable to our time. 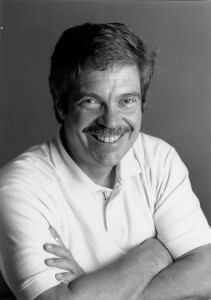 It would be great to see an innovator such as Alan Kay portrayed on film. (Seriously, anyone who can read 150 books by the time he was three years old is worth learning more about!). Mr. Pauling balanced his work in both scientific research as well as his humanitarian efforts. 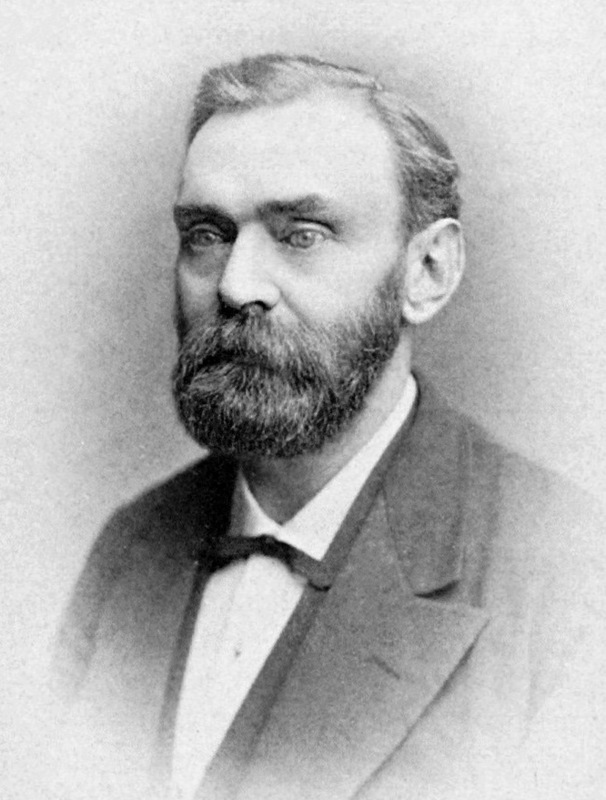 His scientific efforts bridged many different fields, in particular teaching chemistry as a professor at Caltech, along with new research, among others, in physics, mineralogy, psychiatry and biomedicine. Beyond winning a Nobel Prize in Chemistry, he also won the Nobel Peace Prize for his involvement as a social activist after World War II denouncing the US’s involvement in developing nuclear weapons. A director could decide to focus on his advancements in chemistry as well as the several decades he devoted himself to promoting peace in our world. Edison did a lot but so did Tesla too beyond giving us the name for the ultra cool car! (On a side note, Tesla even worked for “The Wizard of Menlo Park” at one point in time)! The radio, AC currents, the Tesla coil and X-Rays were all mind-breaking innovations in due part to Tesla’s intense focus as an engineer and inventor. Bringing his ideas and his inventions to life on screen would be amazing to behold, especially with modern CGI technology enhancements! 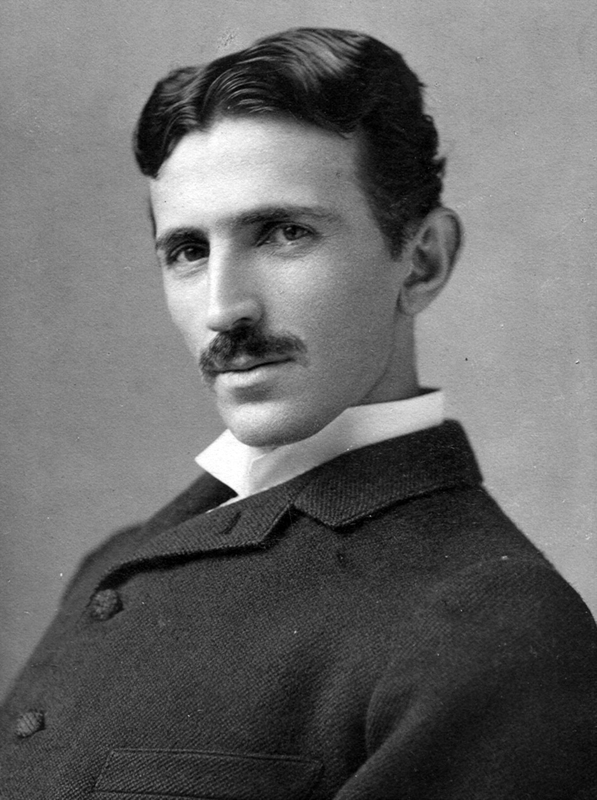 David Bowie was great as Tesla in the dark magician’s tale of The Prestige, but now Tesla, the quintessential “mad scientist” and inventor of gizmos should have his own electrifying movie of his own. Adrien Brody is my man of choice! 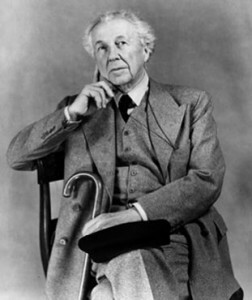 The architect behind the Fallingwater house in Pennsylvania and the Guggenheim Museum in New York, Mr. Wright should have a movie showcasing his wonderful career full of his architectural designs. If anyone has watched an episode of Da Vinci’s Demons and seen all of the blueprint drawings flash across the screen to show what Leonardo is thinking…that is what I have in mind for showing Wright’s thinking process in designing his many buildings. We have seen images of his works so many times; don’t you think we need to see how the man came up with them? 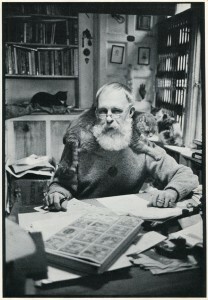 -Last but certainly not least, I have chosen one of the great artists of the bizarre- Edward Gorey. With all of his gothic sensibility filling numerous pages with his macabre little stories accompanied by a menagerie of sweater-wearing cats, Edwardian gentlemen and mourning Victorian ladies, a movie should be in the works. 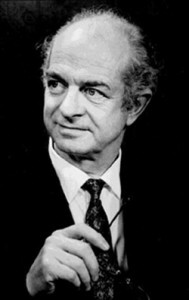 In his lifetime, he had already supplied the animated opening sequences to the hit PBS series Mystery! so that should not be a problem! 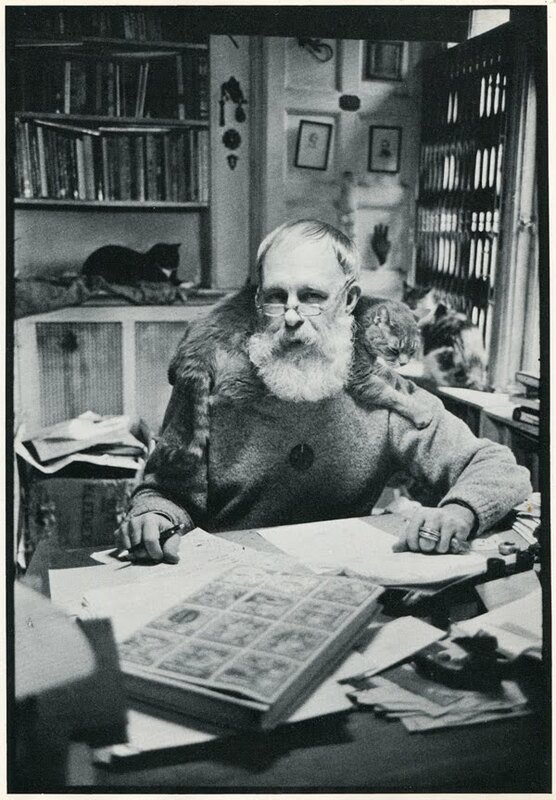 Now it’s a time to learn more about the Chicago-born native (and his many cats dwelling in his Massachusetts home) and why he came up with such creepy rhymes such as “A is for Amy who fell down the stairs” from The Gashlycrumb Tinies. I can see it now, “Amphigorey the movie” starring…Johnny Depp! Now I like to hear your opinion. Do you think these characters stand a chance in Hollywood? Let me know by writing back in our “subscribe” section what you think and who would be your top choices to “see” in a biopic as well as the lucky actors and actresses who would portray them. (P.S. A biopic about Steve Jobs is coming out this fall!). If you enjoyed this article, then look for more upcoming features! Some of the people mentioned in this article students will learn about in great depth at the summer camps at UCLA, Boston College and the University of Chicago. Read more about our math, science, humanities and career tracks here!